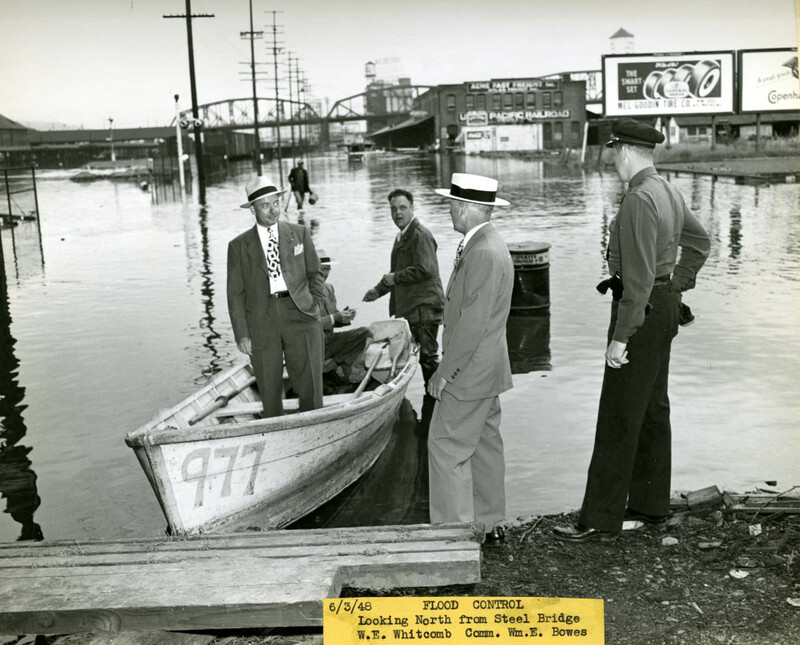 Another image of the May 1948 flood that swamped many low lying areas along Portland’s waterfront. This photo looks north along NW Front from under the Steel Bridge ramp. Union Station is to the left and the Broadway Bridge in the background. The industrial property along the right was decades away from becoming McCormick Pier Condos.